Welcome to my Live Journal! 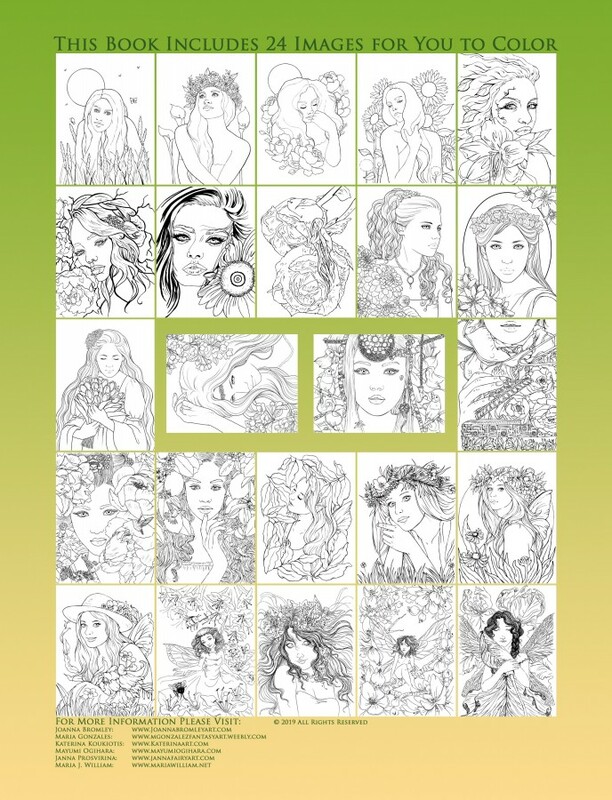 FAEsthetics "Flower Maidens" VL2 coloring book is now available in PDF format and Paperback coloring book . 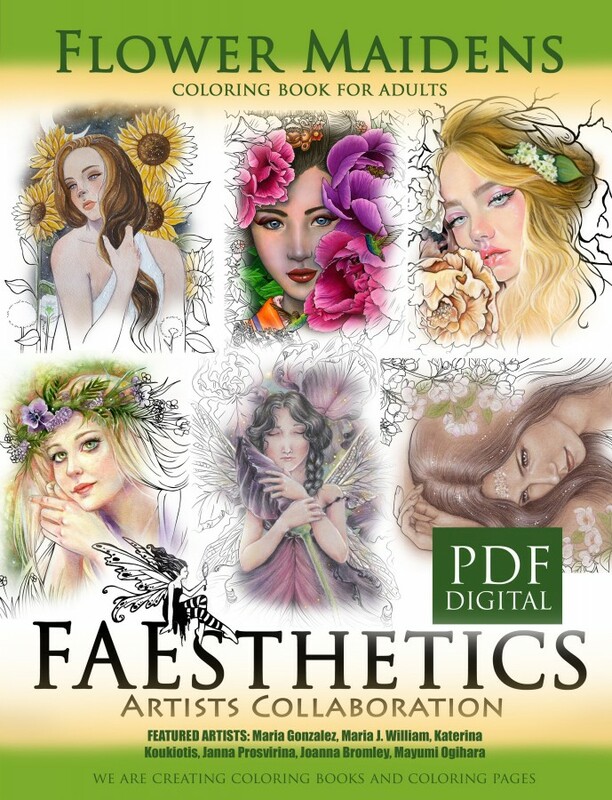 FAEsthetics coloring books is a collaboration coloring book with fellow artist Maria J William , Janna Prosvirina, Mayumi Ogihara , Maria Gonzalez, Joanna Bromley,katerina koukiotis , beautiful fantasy images for you to color in . Tags: #butterfly, #changes, #coloring book, #coloring for adults, #coloring page, #digi stamps, #digistamps, #dutchbraid, #faery, #fairies — with Janna Prosvirina, #fairy, #fantasy art, #flowermaidensfantasycoloringbook, #flowers 3spring, #inkartist, #inktober, #instantdownload, #katerina art, #lulu.com, #maidens, #portraits, joanna bromley, maria gonzalez, maria william and mayumi ogihara.